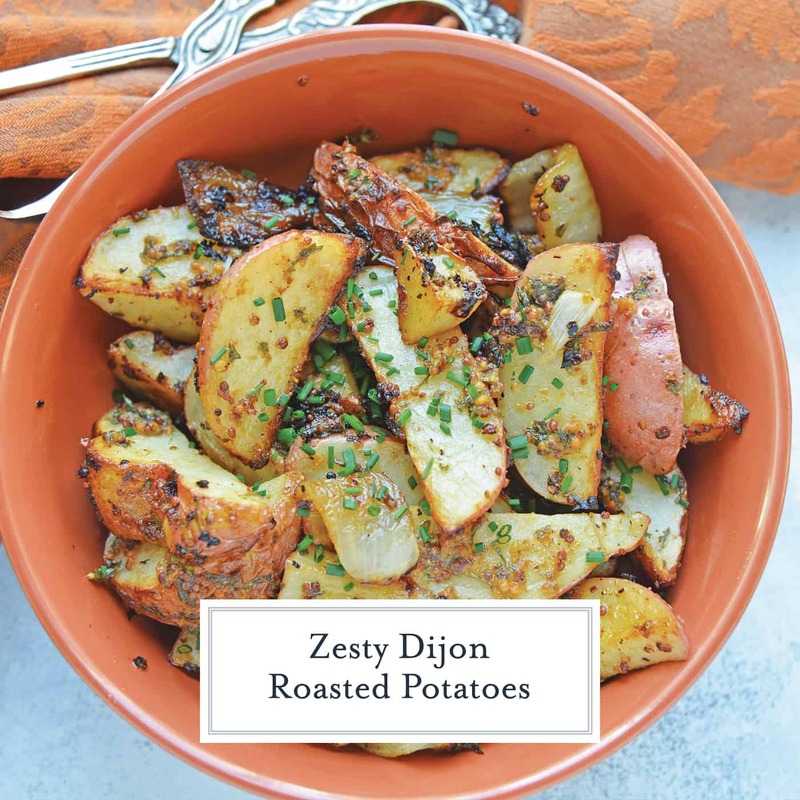 These Dijon Roasted Potatoes will be a hit with your family and friends. 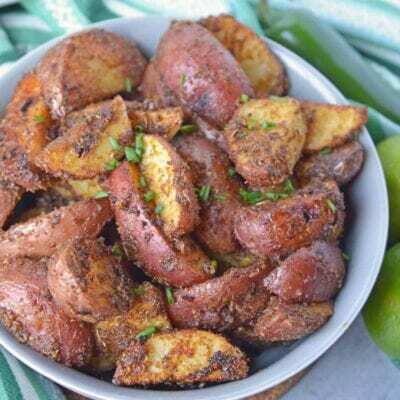 Crispy roast potatoes browned with onion, lemon and seasonings. 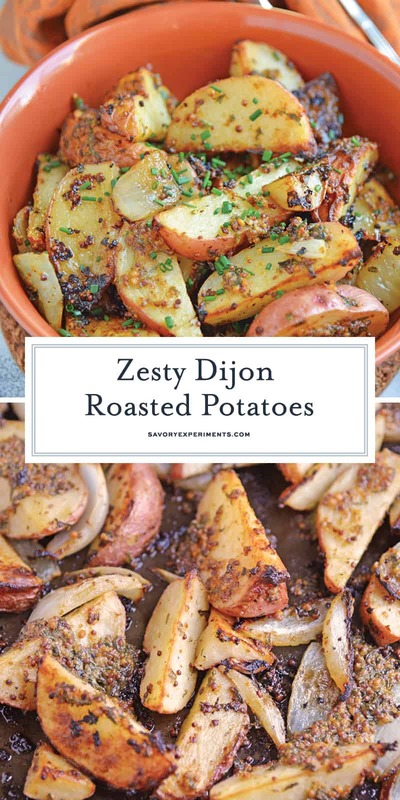 This Dijon Roasted Potatoes recipe is the perfect potato side dish for any meal. Who doesn’t love a browned and crisp potato recipe? 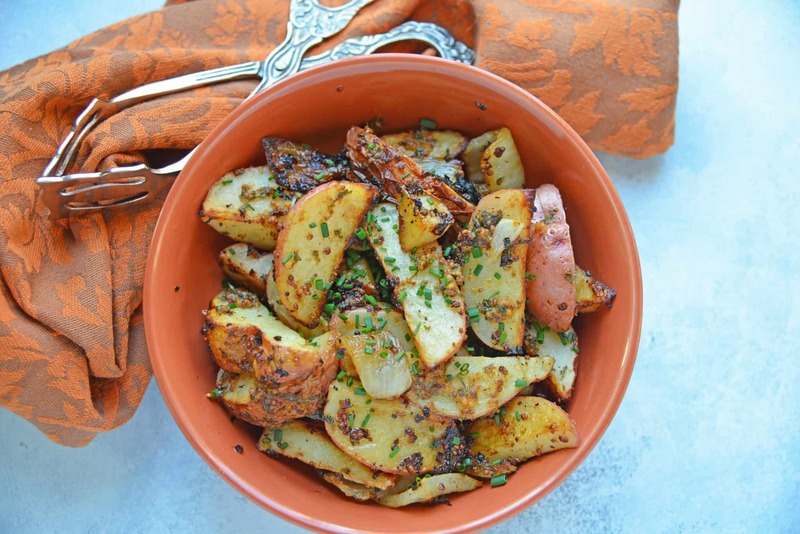 These oven roasted potatoes are packed full of flavor from being tossed in dijon mustard, butter, olive oil, lemon juice and zest, parsley, and salt and pepper. 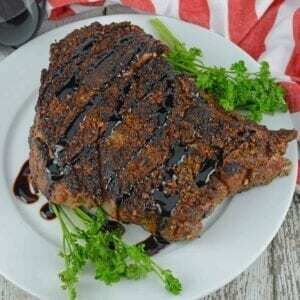 And easy oven recipe that is sure to WOW! I’ve shared my love for potatoes with all of my foodie friends. In fact, I have trouble not posting more about tubers, but I realize not everyone shares my affinity for the lovely root vegetable. Although categorized by some as a starch, I still view it as a vegetable dense in nutrients, vitamins and dietary fiber and therefore it is “A- OKAY” in my book. Dr. Oz also agrees with me: POTATOES ARE GOOD FOR YOU!!! This potato recipe is made with Dijon mustard, which adds pizazz to the blank potato canvas, waking up your taste buds. 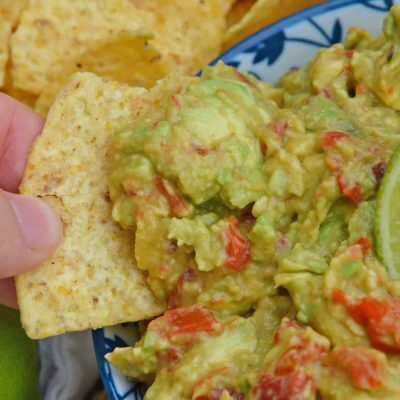 Because the taste is so pungent, I recommend serving these with something else on the tame side, like chicken breasts marinated in Italian Dressing and grilled or a basic steak. Really let the side dish so the shining. I used my leftover roast potatoes in a green salad. The Dijon base replaced the need for any additional dressing. Why don’t more people use potatoes in salad? I love mine in Skirt Steak Salad. There are many potatoes out there, over 4,000, in fact. The most common in the states are red potatoes, Yukon Gold, Russets, new potatoes (baby potatoes) and of course, sweet potatoes. All potatoes have a different starch content, texture of flesh and skin so certain potatoes are better for certain things. Some just taste better to different people. Red potatoes happen to be great for roasting and also have a high level of nutrients in the skin. Red potato skin is fairly thin and not papery, thick or leathery, so it is easy to eat. Yukon Golds are also good for roasting for the same reasons. Russets are best for baking because the skin isn’t as easy to chew. 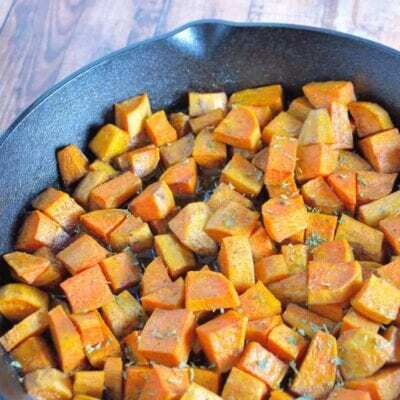 Same with sweet potatoes, which have the tendency to get mushy and not hold up as well to roasting. Roasting potatoes is an easy kitchen skill, however it commonly messed up. First let’s review tips for how to roast potatoes. Cut your potatoes in a uniform size. Same sized potatoes will require the same amount of cook time. 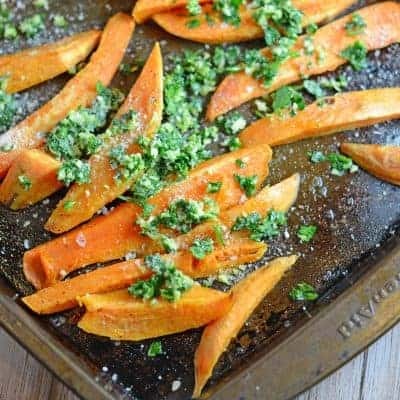 Arrange in a single layer on a rimmed baking sheet. Don’t overcrowd the pan, you want your potatoes to have space to breath. Roast in the oven on a high heat so the outside gets crispy and the inside soft and fluffy. The optimal temperture is 400-450 degrees. Don’t use too much oil or other liquid. This can make your potatoes mushy. The key to my roasted red potatoes is roasting and then tossing in the flavorful marinade without using any excess liquid. While many recipes call for just “dijon mustard,” there are different types and you can radically change a recipe depending on which one you use. The most apparent is whether you choose a smooth or coarse grain. Others have flavor. For this potato recipe, you can use any type you want! I like using a coarse grain, it gives a little pop and more texture to the dish. Are potatoes gluten-free? Potatoes themselves are gluten-free, but what you put on them may not be. 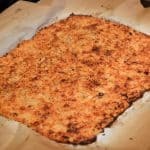 Are potatoes keto-friendly? I am not a keto expert, however my understand is that potatoes are not keto friendly. Can roast potatoes be frozen? Yes, you can freeze potatoes. Think of all the potatoes you see frozen in the frozen food section. French fries, tater tots, hashbrowns and more! Simply make sure they are in an airtight container or bag and use within 3-4 months. Can potatoes be left unrefrigerated? They can, but the best way to keep them fresh and delicious is to refrigerate them. How long are roasted potatoes good? If you keep them well stored in the refrigerator, roast potatoes are good for up to 5 days. How long do I roast potatoes for? This question isn’t easy to answer. It really depends on the size of the potatoes, type of potato and how hot the oven is. 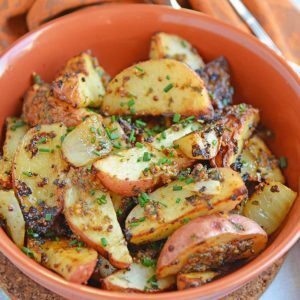 What is the best oil to use for roasted potatoes? I prefer extra virgin olive oil. It has a high smoke point and will do well on high heats while roasting. Good Extra Virgin Olive Oil will taste like, well, olives, while a poorly made one will taste like vegetable oil. Gross. While people tend to favor Italian and Greek olive oils, I prefer to buy mine domestically. This Dijon Roasted Potatoes recipe is the perfect potato side dish to serve alongside chicken or steak! 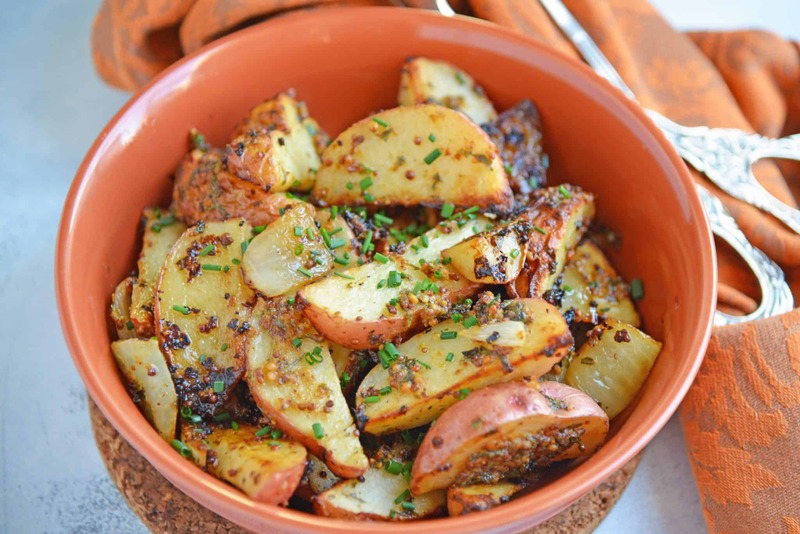 These oven roasted potatoes are packed full of flavor! Preheat oven to 425 degrees. Cover a large rimmed baking sheet with aluminum foil. In a large mixing bowl, whisk together Dijon mustard,melted butter, extra virgin olive oil, lemon juice, lemon zest, dried parsley, fine sea salt and black pepper. Toss quartered red potatoes and sliced sweet onion in the mixture. Remove potatoes and onions using a slotted spoon and tapping off excess mix. Place on the rimmed baking sheet. Bake for 15 minutes. Reserve dijon mix. Remove, turn and rotate potatoes and onion. Drizzle with dijon mixture. Discard remaining mixture. Continue roasting for an additional 15 minutes, or until potatoes are fork tender. Size of potatoes can vary greatly, so use your best judgement. Finish off by placing potatoes under a high broiler to get them browned and crispy. 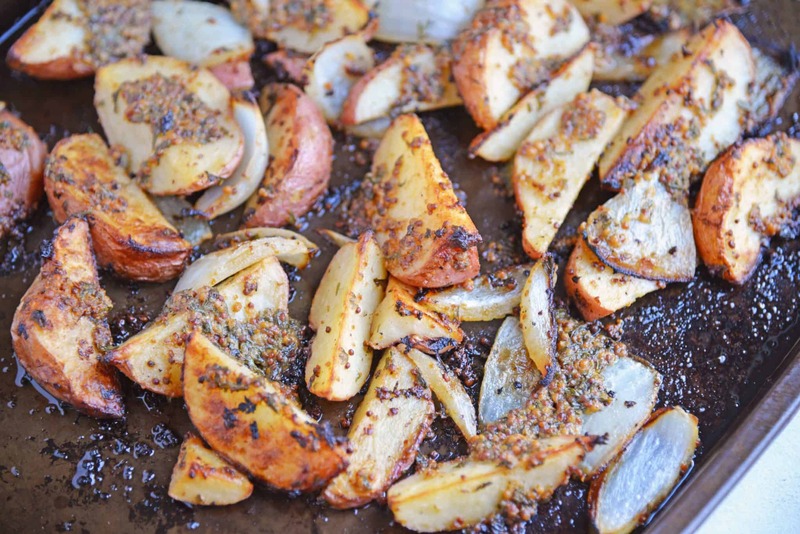 These roasted potatoes look so good! I like this idea of making a dressing to roast potatoes in and using the leftovers for your salad. That sounds a lovely way to jazz up roasted potatoes.